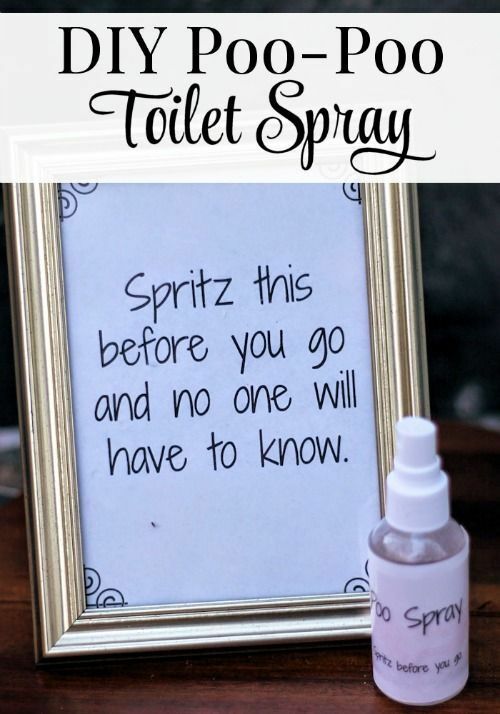 DIY Gifts : DIY Poo-Pourri Toilet Spray - Eliminate future embarrassments by arming yourself... - GiftsDetective.com | Home of Gifts ideas & inspiration for women, men & children. Find the Perfect Gift. DIY Poo-Pourri Toilet Spray – Eliminate future embarrassments by arming yourself with a bottle of DIY Poo-PooToilet Spray. Just spritz the water 3-4 times before you go and no one will need to know. Go ahead and leave one in every bathroom of your house and toss one in your purse for when the occasion arises. These make great DIY gifts too! Previous articleDIY Gifts And Wrap : Fimo bookmark. So cute! !